This research proposes a mathematical model of the problem of job rotation considering ergonomic aspects in repetitive works, lifting tasks and awkward postures in manufacturing environments with high variability. The mathematical model is formulated as a multi-objective optimization problem integrating the ergonomic constraints and is solved using improved non-dominated sorting genetic algorithm. The proposed algorithm allows the generation of diversified results and a greater search convergence on the Pareto front. The algorithm avoids the loss of convergence in each border by means of change and replacement of similar solutions. In this strategy, a single similar result is preserved and the best solution of the previous generation is included. If the outcomes are similar, new randomly generated individuals are proposed to encourage diversity. The obtained results improve the conditions of 69% of the workers. The results show that if the worker rotates starting from a high risk, his variation in risk always decreases in his next assignment. Within the job rotation scheme, no worker is exposed simultaneously to high ergonomic risk thresholds. The model and the algorithm provide good results while considering ergonomic risks. 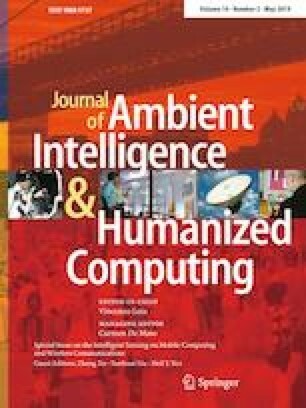 The proposed algorithm shows the potentiality to generate a set of quality of response (Pareto Frontier) in a combinatorial optimization problem in an efficient computational time. We do hereby declare that we do not have any conflict of interest of other works. The proposed experimental design is based on the model proposed by Genichi Taguchi, characterized by being an orthogonal design with a fraction of the possible combinations in contrast to what is executed in a complete experimental design. This reduces the size of experimentation considering the noise and robustness of the experimental process. The result for the experimental design consists of 27 treatments with one replicate. The response variables will be the three objective functions of a non-dominated solution selected from the Pareto front resulting from each experiment. The combinations for the replicas of the experiment determined by means of STATGRAPHICS Centurion XVI and MINITAB® 15.1.30.0 are shown below (Table 15). The following figures show the results found by means of the Fractional Experimental Design (Orthogonal L27–3 * 13) for means and standard deviations where the most influential factors are evidenced within the case of validation considered in the framework of the design of a scheme of job rotation. The mutation parameter is one of the elements that influences diversity in the development of the algorithm. The experimental design shows a percentage of 30%, which has a significant statistical difference with a rate of 10 and 50%. A rate of 30% indicates lower residual value, as evidenced in Figs. 11 and 12, reaffirming the theoretically proposed parameters.The intensity parameter reflects few positions mutation into the chromosome be modified by individual. In this way, a modification of a single gene is of lower residual value and marks a clear significant difference with the level of 2 and 4 modifications, as can be seen in Figs. 13, 14 and 15. Elitism is a mechanism in the evolutionary algorithms to conserve convergence and a good value avoids falling into local optima and guarantees orientation in the results. Under the experimental evidence, it is found that the intensity encourages adequate for the problem above an individual. This best individual is the one who directs the Pareto fronts within the algorithm. Then, the ANOVA chart for each of the objectives is reflected here. RULA: It is evident that the factors of size of generations and mutation rate have significant effects within the problem. NIOSH: It is evident that the only relevant factor is the size of the generations. OCRA: It is evident that the influencing factors are the size of generations and the intensity of the mutations. In a general context, individual experiments follow the principles of independence, constant variance and normality. Finally, the individual experiments confirm the effect of each of the levels considered within the factors of the experiment when the ergonomic risk variables of the problem are analyzed simultaneously.